Guwahati girl Indrani Medhi, who was among the 38 finalists chosen from all over India for Mrs India Asia International Pageant 2016 organized by Mrs India Pageants and Productions Pvt. 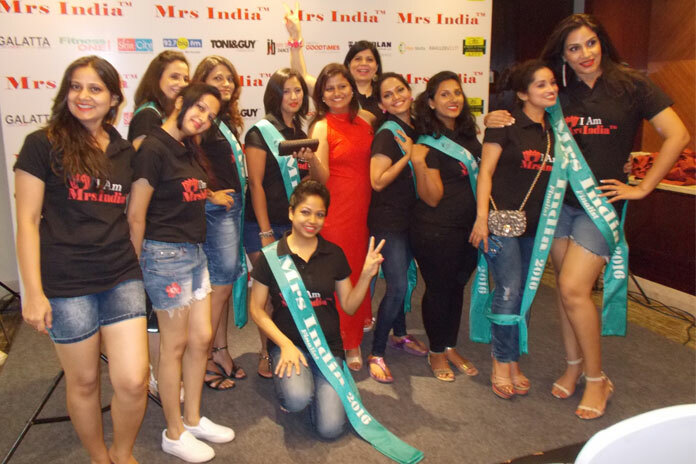 Ltd. on 22nd May won the title of Mrs India Remarkable 2016. The three-day event was held at Hotel Hilton, Chennai. Apart from the reigning queens of Mrs India Asia International 2015 – Mrs Pratibha Saunshimath, Mrs Nupur Saigal and Mrs Purnima Khare, the panel of judges and jury members included Director of Mrs India Pageants and Productions Pvt. Ltd, Mrs Deepali Phadnis, Classic Mrs India Asia International 2014 Mrs Promila Kapoor, celebrity hair stylist Bony Sasidharan, Kannada film actor Bharath Kalyan, social activist and author Kirthi Jayakumar and Corporate Health re Expert and Consultant Dr. M Manoj Bene. 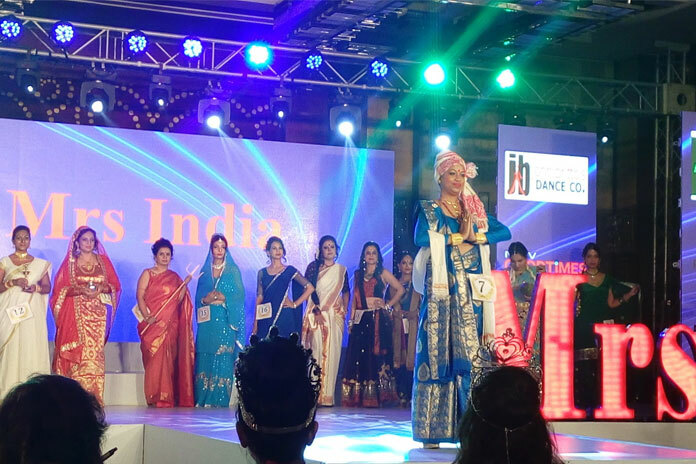 The three-day event included workshops on self-assessment and time management, holistic living with yoga and meditation, hair care and styling, a session on Indian drapes, photo shoots and interaction with the reigning queens of 2015. There were different sub-contests like personal interview, talent round, photogenic round, fitness round, traditional round, etc. Indrani Medhi had put her best foot forward all throughout the contest. On being asked, what is the most important responsibility of a mother, Indrani confidently replied that instilling moral values to the children is the most important responsibility of a mother because “ethical values are seen to be quickly fading away from the young generation. If moral values are inculcated at a very young age, children would not only learn to be honest, generous and kind but also would learn to respect elders, respect their culture and tradition and respect their country as well.” She also focused on the problem of unemployment and the increased rate of educated unemployed youths of Assam during another session. Indrani dazzled in a blue traditional Assamese xingkhap mekhela chador, carrying a cheleng chador and a gamocha too during the traditional wear round in the grand finale of Mrs India 2016. While highlighting the rich traditional Assamese attire at the very outset, she flared a delicately ornated pink gown in the evening wear round. Indrani mesmerised everyone with her singing in the talent round. She was undoubtedly a zesty and strong contender throughout the event. Indrani Medhi, a past pupil of St. Mary’s English Higher Secondary School, Guwahati, did her graduation from B.Borooah College, Guwahati. She is also a post graduate in English Language and Literature and Mass Communication from Gauhati University. She has a keen interest in singing and music and is a Sangeet Nipun in Hindustani classical music. 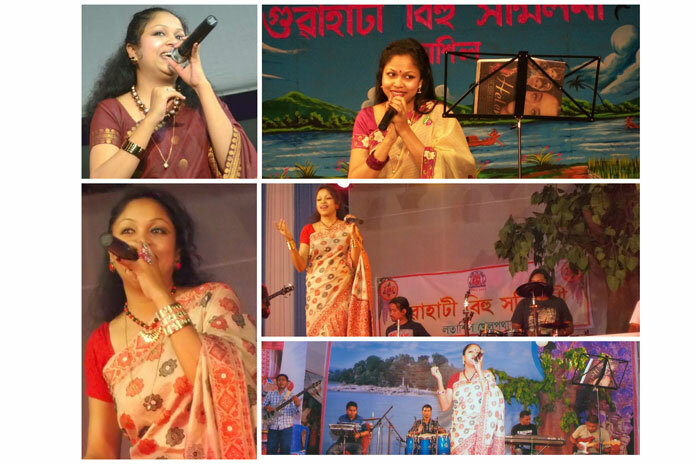 She had also created ripples by performing at various Bihu pandals and other stages of Guwahati city and outside. Music apart, Indrani had earlier participated in Dabur Gulabari Miss Fresh Face of Northeast 2010 and had won the sub-title of Miss Discipline. She was also adjudged as the 2nd Runner-up in Miss Gauhati University 2012. Indrani is a Soft Skills and English Language Trainer by profession. She has been with All India Radio, Guwahati too, as a Radio Presenter (Western Music) for three years. She is currently an active member of Assam Association Bangalore (AAB) and the Associate Editor of URULI Magazine, the official magazine of AAB.